In Death in the Baltic , Cathryn Prince relates the tragic tale of the greatest maritime disaster in recorded human history – the sinking of the Wilhelm Gustloff. Prince has written previously about World War Two as well as the American Civil War and her latest volume is an excellent work of vernacular history. The Wilhelm Gustloff was among the numerous vessels pressed into service for Operation Hannibal – the Nazi seaborne evacuation of East Prussia in early 1945. Prince’s work especially shines in her weaving together various first-hand survivor accounts to paint a picture of what civilian life was like in the waning days of the Third Reich. Her description of the sinking as well as the story of the Soviet sub commander who led the attack are superb and make for highly engaging reading. The only hiccup in Death in the Baltic is Prince’s misuse of some nautical and military terms throughout the book. This is a minor quibble though and on the whole the work is a compact and very readable account of an often forgotten story. 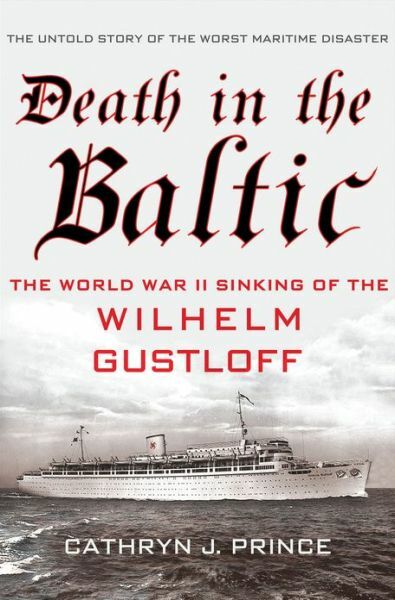 For several reasons which Prince highlights in the closing chapters of the book, the sinking of the Wilhelm Gustloff has largely been overlooked in pop history even though its death toll was several orders of magnitude than even the RMS Titanic. Death in the Baltic is a wonderful blend of vernacular, maritime and military history and as such will appeal to a broad cross-section of readers.